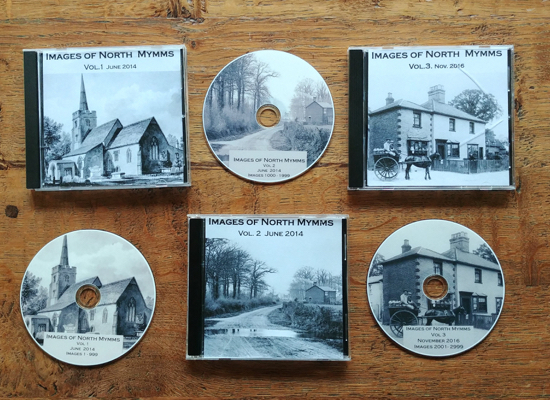 This feature about Brookmans manor house in North Mymms was written for the newsletter produced by the former North Mymms Local History Society by local historian Bill Killick. It is one of several reproduced on this site in an effort to try to preserve as much of the archived material as possible. Chauncy, in his 'History of Hertfordshire', published in 1700, says that Andrew Fountaine, 'built a air house upon his manor in the year 1682'. I think all historians writing since, have accepted his statement as being correct, until the author of the 'Victorian History of Hertfordshire' published at the beginning of this century. He shows some doubt of this by inserting the words ‘supposed to have’ in that sentence and adding a footnote reference to a survey of 1638 in the Public Record Office. 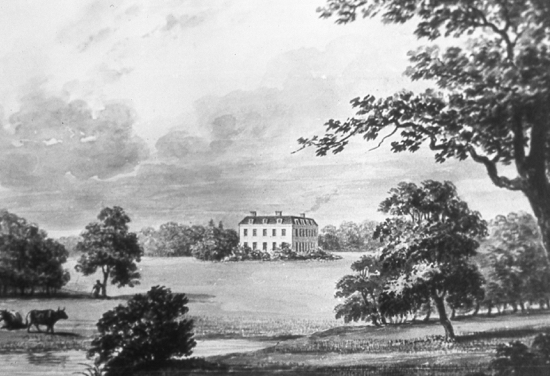 Brookmans, a sub-manor within North Mymms Manor, was originally called the Manor of Mimmshall, but later took its name for John Brokeman who held it at the beginning of the 15th century. After John died (c.1415), his widow, Elizabeth, inherited the manor and married John Chamberlyne. They established their title to the Manor by an appeal to the Court of Chancery in 1437 and later sold it to John Fortescue. It then descended through five generations of the Fortescue family until, in December 1616, Daniel Fortescue sold it, excluding Potterells, to Robert Faldo, who was already living in Potterells. In the indenture of the sale, after reciting details of the Manor, states 'and all that his messuage or tenement commonly called or known by the name of Brookmans - which said messuage or tenement and all the other premises are now in the tenure or occupation of Richard Warburton'. 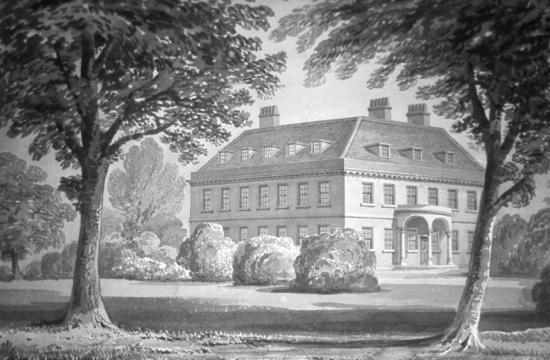 The Fortescues did not always live on the Manor but leased the Manor house to tenants. The Faldo family had been long established in Bedfordshire: (William de Faldo was recorded there in 1202) and Robert, a lawyer of Grays Inn, was the eldest son of Richard Faldo of Maulden, Bedfordshire. In May 1617, Robert sold the 'messuage or tenement' called Brookmans, with certain lands, but not the Manor, to his youngest brother Edmund Faldo of Westham, Essex. Robert Faldo died in 1621 and the Manor descended to his eldest son Thomas Faldo, who was then only 14 years of age. Robert’s widow Anne married Robert Broomfield and they acted as guardians of Thomas during his minority. Edmund Faldo died in 1627, aged 52, and was buried in North Mymms churchyard. He bequeathed Brookmans, (i.e. The house but not the Manor), to his wife Susan for the term of her life and then, after her death, to his nephew Francis Faldo, who was then about 12 years of age, the youngest son of his brother Robert. 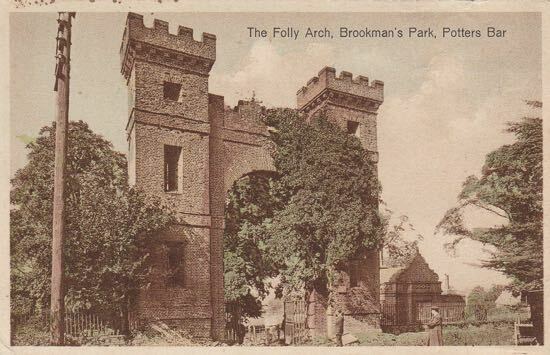 Francis did not inherit Brookmans as he died when he was about 18 before his aunt Susan. The next heir was another of Edmund's nephews, William Faldo of Frays Inn, the eldest son of his brother William. In 1636, William Faldo of Grays Inn Esc, offered to sell the property to Paule Pinder, but he, doubtful of William's title, entered a 'Bill of Complaint' in the Court of Chancery. In the Public Record Office, there is a valuation of the property, dated 1638, which was probably made in connection with this case. Williiam's 'answer' detailed his right under the will of his uncle Francis and he then, with his two brothers, Thomas Faldo of London gent, and Henry Faldo of London linen-draper, and others, (all with some right of expectation in the property), sold it to Paule Pinder. Paule Pinder died in 1645 and in 1662, after his son Paule had died without issue, his widow granted Brookmans to Sir William Dudley, who had married her daughter Mary. They were already in possession and she also granted to Dame Mary Dudley, 'the several goods, household stuff, hangings and furniture of household stuff particularly mentioned and contained in a schedule – annexed'. This inventory listed the items in the various locations in the house and therefore gives some idea of the size of the building. The other Chamber over the Stable, (The Chamber wherein my Mother Maidwell now lyeth). For the Hearth Tax in 1663, Sir William Dudly was assessed for Brookmans at 15 hearths, which compares with North Mymms Park 24; Skimpans 9 and Potterells 8. This indicates that the ‘new brick build Manor house’ must have been a ‘mansion’. In 1666, Sir William Dudley and his wife Lady Mary, sold the whole of the Manor except Potterells, to Andrew Fountaine Esc. Of Solle, Nofolk. It is probable that he made the park and demolished the ‘old mansion’, if that had not already been done, but I can not think he would have demolished the new Manor house. He may have modified it.